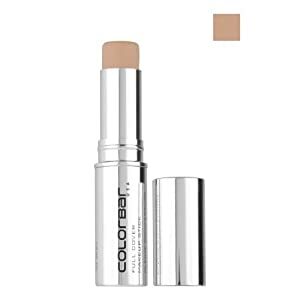 A concealer or a color corrector helps in hiding your dark circles, blemishes and pigmentation. A concealer is stronger than foundation in terms of providing coverage. It blends well into the skin and helps even out the skin tone. If your foundation is not doing the trick of giving you a super fine finish, then it is time to start using a concealer to get the same. We show you here the best makeup concealers in India that will give you flawless finish. The L’Oreal Paris True Match Concealer comes in 3 shades – fair light, light medium and medium deep. It is a liquid concealer that comes with an application brush. The brush helps you blend the concealer in really well into the skin. It provides full coverage and lasts upto 6 hours. The concealer is non comedogenic and oil free. It is priced at Rs. 875 for 5.2 ml. The Lakme Absolute White Intense Concealer Stick comes in 2 shades- light to medium and medium to dark. It comes in a creamy blend-able stick form that is easy to use. The concealer has SPF 20. The concealer has vitamin B3 extracts that help you get a younger and fairer looking skin. It is ideal to camouflage blemishes, dark circles and acne. It is priced at Rs. 450 for 3.6 ml. The Revlon Photoready Concealer is a perfect way to get flawless airbrushed skin in any light. It can be used all over the face to conceal imperfections and dark circles. It gives full coverage. The concealer comes with SPF 20 and also contains light diffusing particles that give your face a glow and reflect light. It is priced at Rs. 850 for a 3.2 g stick. It comes in 6 shades. The Colorbar Full Cover Makeup Sticks come in uniquely formulated shades that will perfectly match your skin tone – fresh ivory, au natural and warm beige. The SPF 30 in it is among the highest in concealers, giving your skin adequate sun protection. 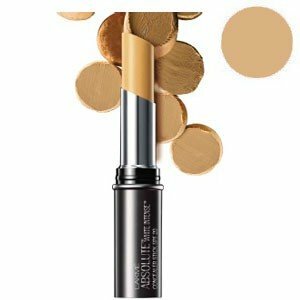 It has a very creamy texture and just has to be glided on the skin for application. The concealer is priced at Rs. 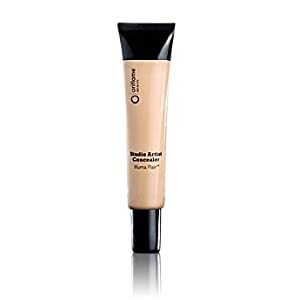 675 for 9 g.
The Oriflame Beauty Studio Artist Concealer is a liquid concealer that comes in Light, Medium and Dark shades. It has illuma-flair-light reflecting complex that diffuses the light around your face to minimize the appearance of fine lines and wrinkles. 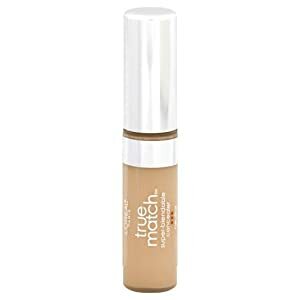 It has a buildable coverage and a moisturizing formula that gives you a flawless finish despite being light on your face. It is priced at Rs. 279 for 10 ml. 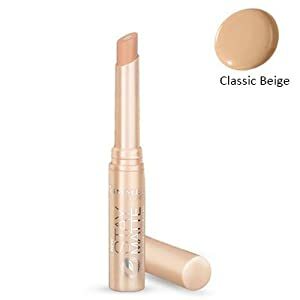 The Maybelline Clear Glow Stick Concealer is a great cost effective product to even out skin tone. It comes with SPF 20 and is suitable for acne prone skin too. It has a mineral clay formula that is sweat and sebum resistant. It is priced at Rs. 250 for a 10 g stick. It comes in 2 shades – fawn and radiance. The Rimmel London Stay Matte Dual Action Concealer is especially made for blemished skin. The outer concealer on the stick helps in effectively hiding the blemishes on the face without clogging your pores while its inner core works on treating the blemish. It gives you a flawless matte finish. It is priced at Rs. 575 for 4.5 g. It comes in 4 shades – Ivory, classic beige, soft ivory, soft beige.